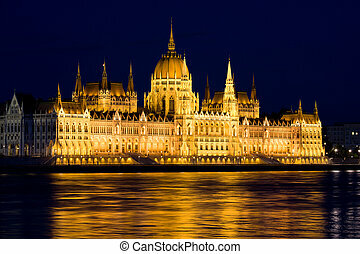 Budapest parliament at night near the danube river. 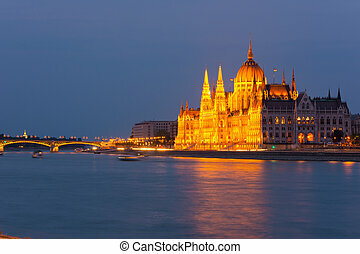 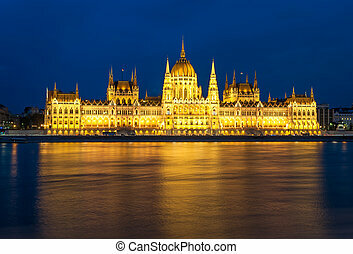 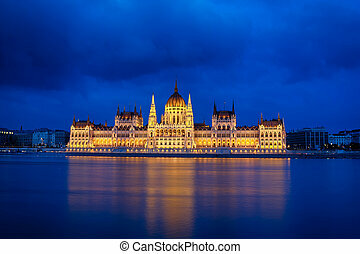 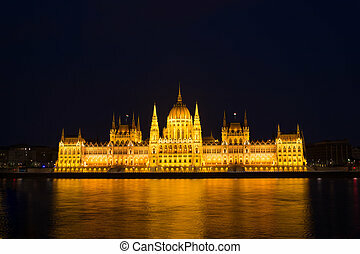 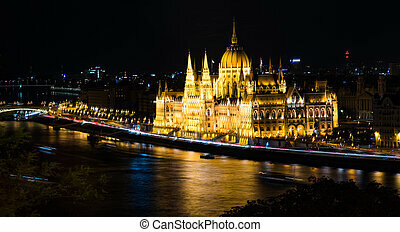 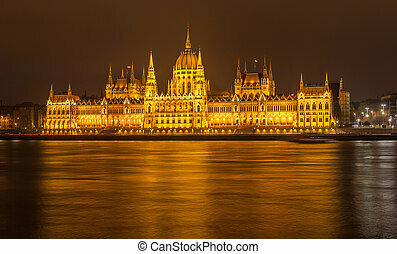 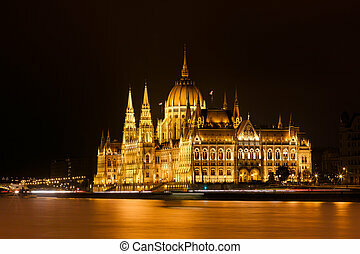 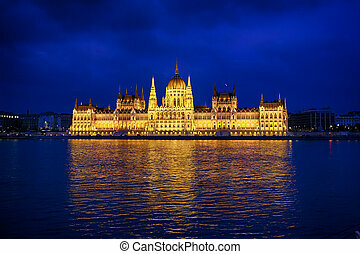 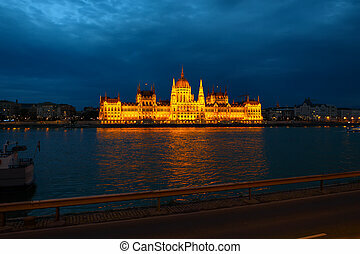 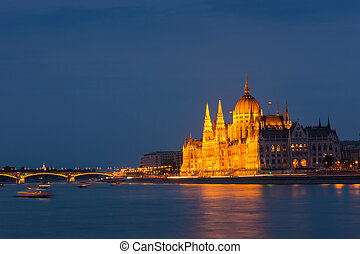 Budapest parliament building at night illuminated over the river Danube. 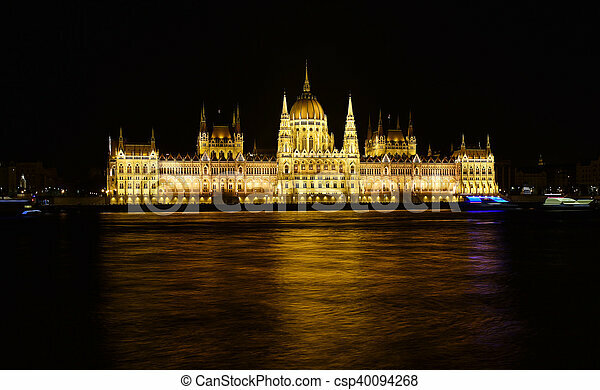 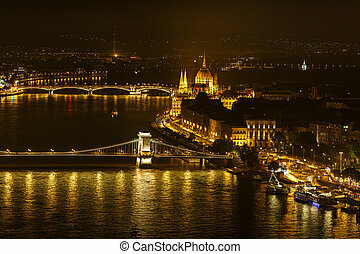 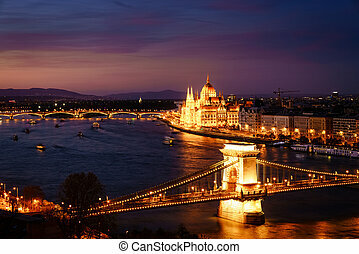 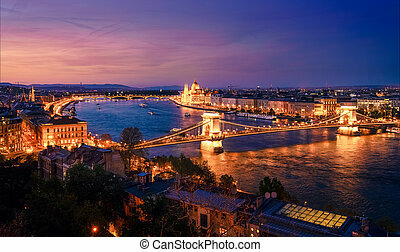 Budapest Parliament in Hungary at night, reflections on the Danube river waters.